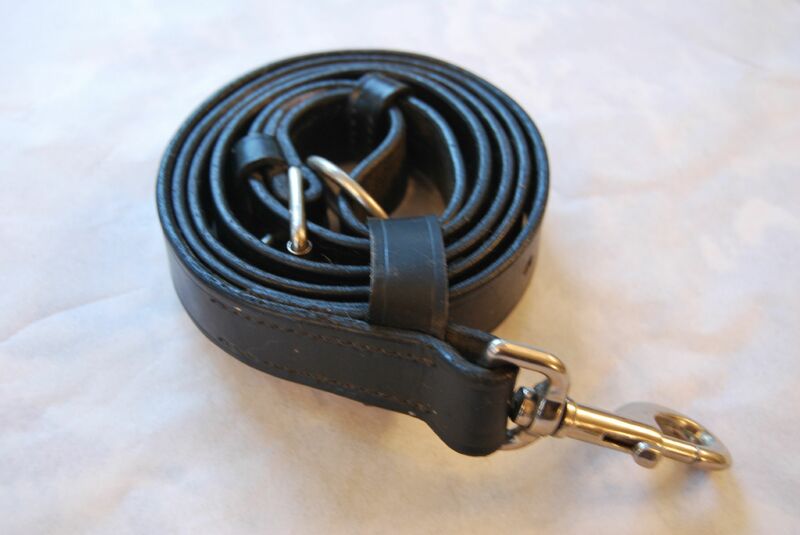 Hand crafted in Cornwall by our Master Saddler this finest English leather strap has a multitude of uses. When rolled up it attaches to your dee ring by a trigger clip and is secured with a popper to stop it unravelling. This little treasure is much smarter and substantial than a lead rope; should you need to put your child on a lead rein whilst hacking the trigger can be clipped to the bit. 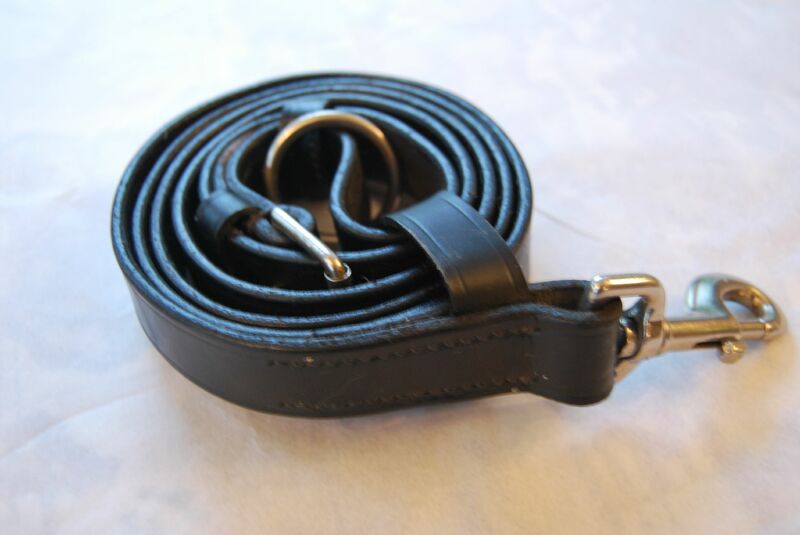 In an emergency, such as breaking a stirrup leather, the trigger clip can be clipped back onto a ring attached to the handle and then attached onto your stirrup bar. A truly multi- purpose item that looks great too. Available in havana or black with a choice of brass or stainless steel fixings.